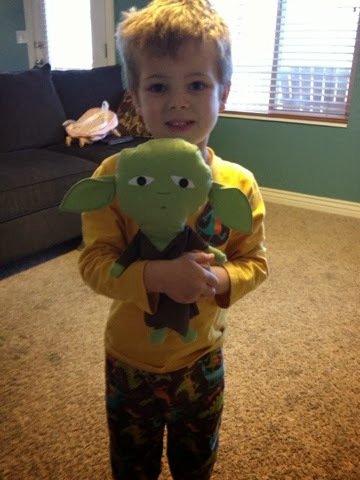 My son asked me to make him a Yoda doll today. This is what I came up with. 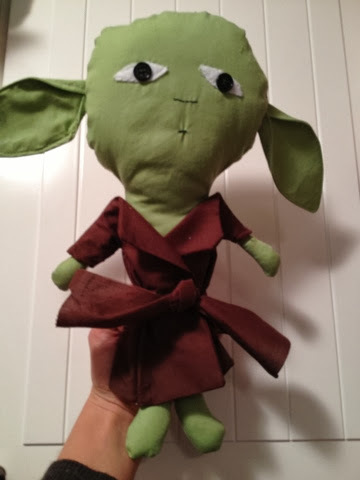 I added ears to simplicity 1900 doll pattern (you could easily use the black apple doll pattern available through Martha Stewart- it's free). I used the dress pattern Andrade a robe, making site to see the ties on the back- or they'd be lost on a second at our house :).